Suboxone is composed of two active ingredients, buprenorphine and naloxone. Buprenorphine is a partial opioid agonist and it binds to the same receptors in the brain that drugs like heroin or narcotic pain pills do. Since the buprenorphine binds to these same receptors, the brain doesn’t notice that you have stopped taking the drug of abuse, and you feel no withdrawal pains. Buprenorphine is only a partial agonist though, and although it does bind to these same receptors, it offers little euphoria and little of the high that becomes so problematic with the abuse of pain pills or heroin. Users, once switched to buprenorphine, can once again participate normally in society, free from the pains of withdrawal and also free from intoxication. The other active ingredient, naloxone, is incorporated to increase the safety of the drug by lowering the likelihood of abuse. Although buprenorphine does not readily induce a high, if injected in quantity and especially if combined with a tranquilizer type drug, it can be abused. Naloxone is an opioid antagonist, and if you take naloxone you cannot feel any opioid pleasure, and you go into immediate and very intense withdrawal. Suboxone is taken sublingually (under the tongue) and when taken as directed your body does not absorb much of the naloxone, and you do not feel these withdrawal inducing effects; but were you to try to abuse it though injection administration, not only would you not get high, you would enter into severe detox pains almost immediately. Because the drug has a much lower abuse potential than methadone, you are not required to come to a clinic to take their dose under supervision, you can be prescribed a month's supply of the pills, purchasable at approved pharmacies. A second advantage to Suboxone over methadone relates to the eventual need to detox off of the replacement opiate. Although methadone works well as an addiction treatment medication, the withdrawal pains of a methadone taper can be severe. Suboxone is an opiate, and all opiates do require a period of eventual withdrawal, but the pains of withdrawal off of Suboxone are nowhere near as intense as heroin withdrawal symptoms, and far easier than with methadone. The risks of overdose are low, but it can cause respiratory depression, especially if taken with alcohol, sedatives, tranquilizers, or any other form of CNS depressant medication. In very rare occasions, patients have reported a hypersensitivity to the naloxone in the medication. The naloxone, which normally if the medication is taken as directed has no effect, in these patients with a hypersensitivity does cause a reaction, and does induce a severe period of withdrawal. This is very rare. It is quite easy to transition from short acting opiates such as heroin, hydrocodone or OxyContin onto Suboxone, but it can be quite difficult to transition from longer acting opiates such as methadone. Patients addicted to methadone and wanting to switch to Suboxone will generally transition between the two medications via a period on a drug such as OxyContin. Because of the easier withdrawal period and because it can be taken home in month-long doses, most people prefer the idea of Suboxone therapy over methadone therapy. Unfortunately, Suboxone won’t work for everyone. Suboxone has a dosage ceiling, or a limit of maximum effects, and for some people, such as heavy daily heroin users, Suboxone just isn’t strong enough to take away all withdrawal symptoms and drug cravings. In such cases, methadone is clearly the better choice. In America, the two greatest problems regarding the use of Suboxone are availability and cost. Doctor's must receive special certification before achieving licensing to prescribe the drug, and there are simply not enough doctors who may give it. Additionally, current legislation caps the numbers of patients each doctor may prescribe Suboxone to, further compounding the problem. Secondly, the drug remains quite expensive, and for those without adequate private health insurance or without the means to self finance the drug, it can be prohibitively expensive. As a way to ease the pains of cold turkey detox, Taking the Suboxone for a week or more. Basically, it's just like methadone, but with the advantages of an easier detox on the back end and month-long take-home doses.You can be prescribed enough pills for a month or more, and you do not need to expend such energy and time getting to a central methadone clinic for your daily dose. The side effects are minor, and a small price to pay for a better life free from addiction, and although the eventual detox can be tough, it's far easier than for methadone. It is not easily abused, and if you follow the directions of use, it is very safe. Research shows that people who use opiate replacement therapy as a long term solution (using medications like Suboxone or methadone) are more likely to stay addiction free. Medications like Suboxone and methadone take away your cravings for opiates, so as soon as you stop using these medications, your risk for relapse increases greatly. Many people, however, still choose to use Suboxone only for a period of weeks or months, as a way to taper down more gently (to detox) in a controlled manner. For many people who are addicted to opiates, the fear of detox alone is enough to keep you using, but while you take Suboxone you feel no withdrawal pains and you get a period to start getting your life and health back together, and then after a few weeks or months, you start to taper down, and experience far more gradual and gentler withdrawals. 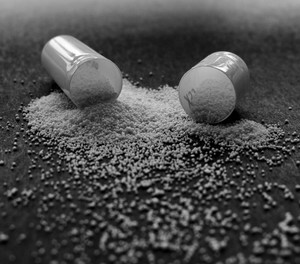 Suboxone is a great medication that works very well – but it’s no magic bullet solution either. Once off Suboxone (or even once you start tapering) you are at greatly increased risk to relapse. Because of this, you should not consider Suboxone alone sufficient addiction treatment – you should also get into an addiction treatment program to learn strategies of relapse avoidance and to gain clean and sober support for the challenging days that are always to come. When you combine opiate replacement therapy (methadone or Suboxone) with ongoing addiction treatment you give yourself the best possible chance at a better life free from addiction. A list of SAMHSA recommended medications for managing the withdrawal symptoms that occur during Suboxone tapering.